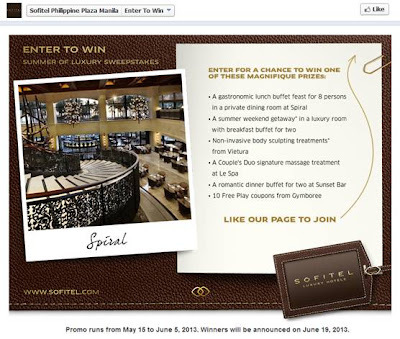 The Food Alphabet and More: Enjoy the time of your life with Sofitel's Summer of Luxury Sweepstakes! Win fabulous prizes! 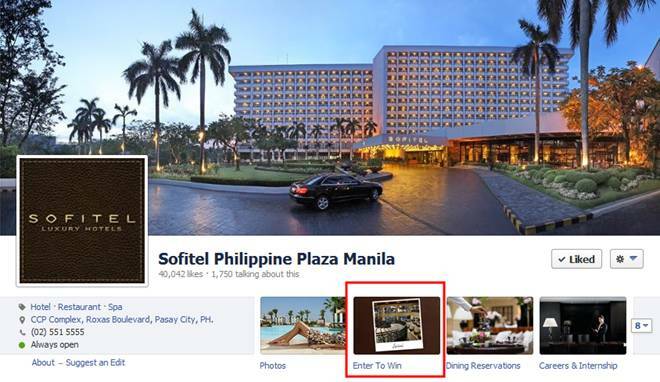 Enjoy the time of your life with Sofitel's Summer of Luxury Sweepstakes! Win fabulous prizes! So how is your summer so far, I know for a fact that the students are getting really excited that school is opening really soon, but before that why don't we just enjoy the rest of our summer vacation by joining Sofitel's Summer of Luxury Sweepstakes. What's in store for you? Well, how about overnight stays, tummy filling buffets, pampering for you and your special someone. Now did I get your attention? Increase your chances of winning by sharing this promo with your friends after you register. 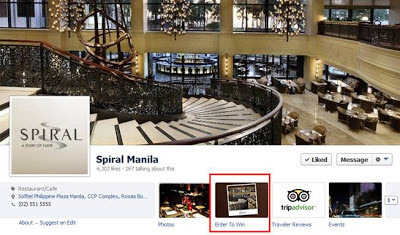 You can also access the "Enter to win" link at Sofitel Philippine Plaza Manila Facebook Page as well as Spiral Manila Facebook page as seen below. Promo is until June 5, 2013. Winners will be announced on June 19, 2013. Join now! Yummy Eats 2013 - It's a date! Mezza Norte coming to Trinoma this May 3!